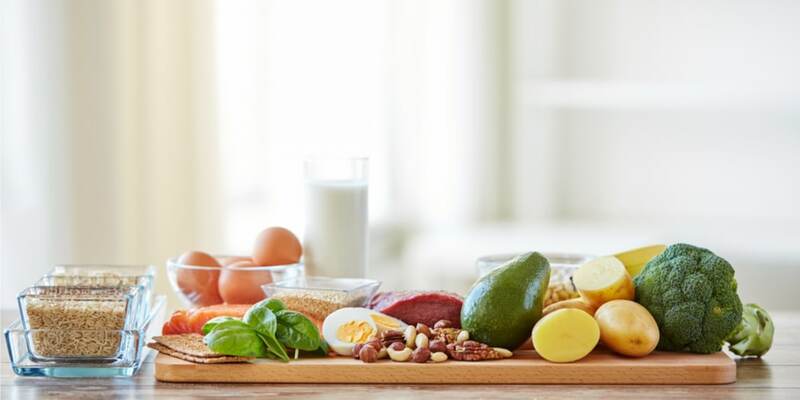 A common misconception on healthy eating is that you absolutely must cut out certain foods or entire food groups, making it almost impossible to stick to a healthy eating routine. Save your trending diets, fads and everything in between and focus on a simple, easy to follow process. Clean eating is a simple, effective way to kick start your healthy eating habits (while cutting out all the dieting mumbo jumbo you’re continually subject to) – Basically the aim of clean eating is to consume foods that are in their most natural state. In other words, avoid foods that are processed, manufactured or altered by humans. A fundamental clean eating approach does not focus so much on calorie counting or meal frequency, but rather a more open mind to healthy eating. No clean eating approach will be the same and absolutely anyone can do it. Increased levels of happiness – Mood altering chemicals commonly found in processed foods can adversely affect your mental health. Improves sleep – A well balanced diet and hydration is associated with positive sleep patterns. Increases concentration levels and brain activity – Brain foods! Processed foods affect your cognitive ability, while foods like avocados, blueberries and broccoli keep our minds ticking! It fights inflammation – Particularly useful for people with osteoarthritis, inflammation of joints can be worsened by the consumption of processed foods. Improved energy levels – Vitamins found in natural, unrefined foods are famous for energy boosts, look for foods containing Vitamins B & D.
Start by sticking to the outside aisles as suggested above. You don’t have to buy organic foods – Often an organic label will mean a higher price tag, rather than look at the front label, look at the ingredients list and compare products. You might find products without the organic label have most of the same ingredients. Start by gradually cutting out processed foods, it’s a process that may take a few months, and this is fine. Set aside some ‘cheat’ foods – As discussed a clean eating approach is about balance and freedom, it is important for absolutely everyone to indulge in moderation. Take as little or as many tips from this blog as you like. Go bananas on all fruits and veggies! The clean eating approach is not a diet; it is a lifestyle change and should never be considered a diet. The clean eating approach is an alteration that can be adopted for life not weeks.